Unlike other books which focus solely on the business or profit aspects of measuring the customer experience, this book focuses on the benefits to the consumer as well as the company or financial institution. The book describes how business and government can undertake market research to determine whether the credit and investment markets are functioning properly and providing consumers with adequate information to make sound and safe credit and investment decisions. A discussion of different market research methods abilities to uncover problems in the credit and investment markets is provided. Findings and trends from studies measuring the customers experience in the credit and investment markets during the 1991 - 2009 time periods are discussed along with regulatory guidelines and consumer protection laws. The methodologies used to measure the customer experience and detect misleading sales practices; unfair treatment and discrimination in the financial services market place are described in detail. The techniques of mystery shopping, matched pair testing and consumer surveys are described along with a detailed discussion of study design, data collection methods, sample size determination, statistical testing, reporting and analysis. Sample questionnaires, mystery shop scenarios and profiles and sample analyses and charts are provided. 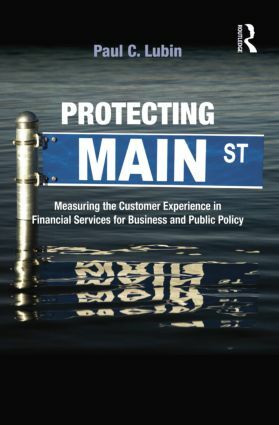 "The revelations in this book are critical to protect the customer experience and to repair public sentiment and confidence in the financial service markets. As we negotiate critical reparations of the financial service markets, Lubin’s treatise prescribes actionable steps to manage systemic risks, protect the customer experience, and restore public sentiment. Paul C. Lubin has more than 30 years experience measuring and improving the customer experience. He owned and operated one of leading financial services market research firms in the country, Barry Leeds and Associates and has worked for the leading financial institutions in America. He pioneered the use of market research to detect discrimination and unfair sales practices in consumer lending and developed self-testing testing programs for financial institutions facing allegations of discrimination and unfair sales practices. In the early 1990's, he pioneered the use of Mystery Shopping and Matched Pair Testing to detect discrimination in lending. In the early to mid-1990’s he developed a method to test for discrimination through customer feedback and coined the phrase "post-application test." The procedure is considered a valid self-test for discrimination by federal regulatory agencies. At the same time he pioneered the use of Mystery Shopping to examine non-deposit investment sales practices at banks. During the late 1990's and into the new century Paul created programs to detect predatory lending and misleading sales practices. In November 2007 he wrote and presented a paper Fair Lending Testing: Trends, Training and Best Practices at the Understanding Consumer Credit Symposium sponsored by the Joint Center for Housing at Harvard University. The paper is cited by Department of Housing and Urban Development as a source for methods used by financial institutions to detect discrimination and compliance with the law. In 2009 he prepared and presented a paper to the American Marketing Association Public Policy Conference titled Market Research for Detecting and Eliminating Racial Profiling in Consumer Lending.